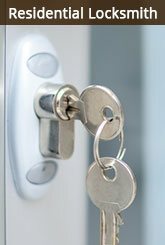 If you live in La Habra, CA area and are seeking a professional locksmith, then you’ve come to the right place. Exclusive Locksmith Services is a premier locksmithing firm that has continuously evolved in the past decade. We always stay in sync with the times, update our knowledge base, buy the latest innovations to have hit the market, stock up on world-class products – all this to ensure that you get nothing less than the best. Key making: You don’t have to pay for expensive key replacements at the dealership. With Exclusive Locksmith Services, you can get remotes, transponder keys, GM vat keys and more made at affordable costs. When we started out decades ago, the La Habra, CA community did not have a reliable locksmith they could fall back on under pressing circumstances. Once Exclusive Locksmith Services made its foray into the locksmithing arena, the entire scenario underwent a drastic transformation. We provided what others did not; excellent services at nominal charges. Over the years, our customer base has only expanded and we’ve managed to serve hundreds of automotive, residential and commercial customers with outstanding level of service. An exceptionally talented team formed our backbone all these years and we further strengthened our roots by procuring the latest and cutting-edge technology in the field to ensure that our customers receive superior, best-in-class services. Our ultimate aim of achieving complete customer satisfaction drives us to push our limits and improve endlessly. Being a complete mobile locksmith, our service extends in and around La Habra and stretches to every nook and corner, at all times, even on holidays. We endeavor to deliver the best at the least prices to ensure our services are feasible to everyone. Our commitment to delivering value-for-money services is one of the reasons why we’ve stood the test of time and emerged as one of the top locksmiths in the region. Service availability: When we say we cover the entire La Habra, CA area; we mean it. There’s no area or location that we can’t get to. Usually our arrival takes us 15-25 minutes. Our rapid response and 24-hour availability is especially a boon to those facing critical emergencies, as a quick resolution can be expected. 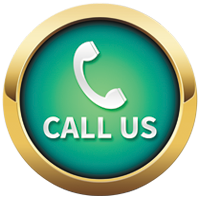 Reach out to an expert locksmith today on 562-340-4636 !